Xiaomi is on fire, with sky rocketing sales of its Redmi Mi4i it is bound to reach the really wide group of customers. When the world was basking in the glory of Mi4i, Xiaomi launched another phone – Xiaomi Redmi 2 Prime. Xiaomi Redmi 2 Prime is an amazing phone with some powerful features at a very low price. So here’s a quick review of specifications of Xiaomi Redmi 2 Prime. Xiaomi Redmi 2 Prime is a sleek phone with just the apt screen size of 4.7inches and dimensions 134 x 67 x 9 mm. Being 9mm thick, this phone is probably one of the slimmest phones in the world. Screen resolution is 720x1280pixels with 312ppi pixel density. Xiaomi Redmi 2 Prime has got LCD capacitive touchscreen. Under the roof, Xiaomi Redmi 2 Prime has got some really mind boggling features. Xiaomi Redmi 2 Prime has got Qualcomm MSM8916 Snapdragon 410 chipset and Quad-core 1.2 GHz Cortex-A53 CPU. All this comes with Adreno 306 GPU. Coming to the RAM, Xiaomi Redmi 2 Prime has got 2GB of RAM out of which 1.4GB is user available. Xiaomi Redmi 2 Prime has Android v4.4(Kitkat) with MI user-interface. Xiaomi could have loaded this phone with Lollipop, so this is perhaps one of the only cons of this phone. Rest, the MI user-interface is almost same as that of Mi4i. Xiaomi Redmi 2 Prime has got 8MP primary camera with LED flash and autofocus. For clicking selfies, Xiaomi Redmi 2 Prime comes with a 2MP secondary camera. The photo quality is quite brilliant. The sensors used for the camera are really good. This phone even takes good pictures in dim light conditions. Xiaomi Redmi 2 Prime comes with a variety of sensors including an accelerometer, a gyro sensor, a proximity sensor and of course a compass. These sensors together make sure you are not left stranded in situations where you need navigation or accelerometer etc. Sensors are important. 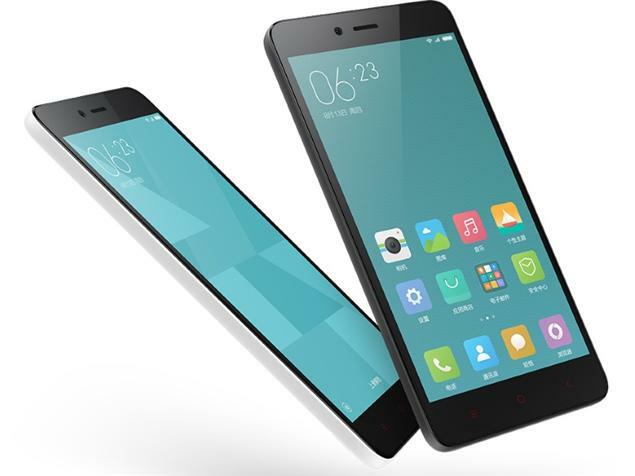 Xiaomi Redmi 2 Prime comes with 2200 Lipo mAh battery. 2200mAh is quite sufficient to keep the phone on for at least a day. Going by the screen size, and no heating problems – 2200mAh is a good choice. And since the battery is removable, you can carry more than one for emergency situations. Xiaomi Redmi 2 Prime is priced at Rs.6,999/- on Flipkart. And on this cost for such a phone seems too less. It’s a must buy if you have a budget around Rs.7,000. Lastly, all I would comment on Xiaomi Redmi 2 Prime is, it’s an amazing phone with great features and the best part is it comes at a really low cost.